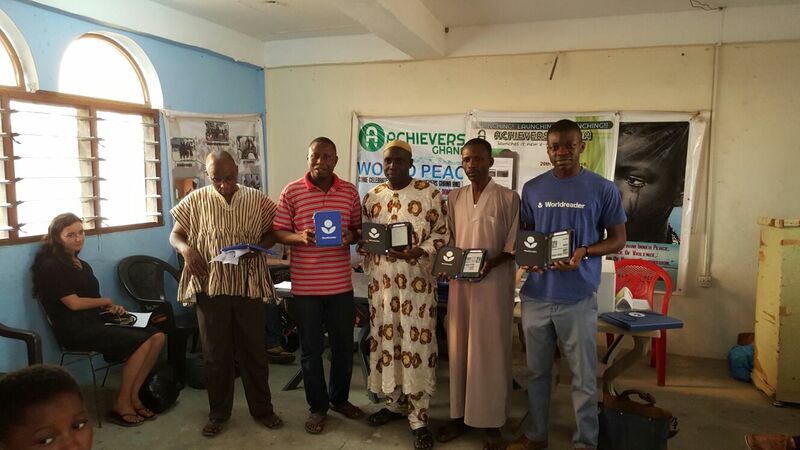 In November 2014 Worldreader launched the first community E-Library in West Africa at Achievers Ghana. 25 e-reader devices with 120 books each. Since then the girls at Achievers have been using the devices intensively to read books at home. 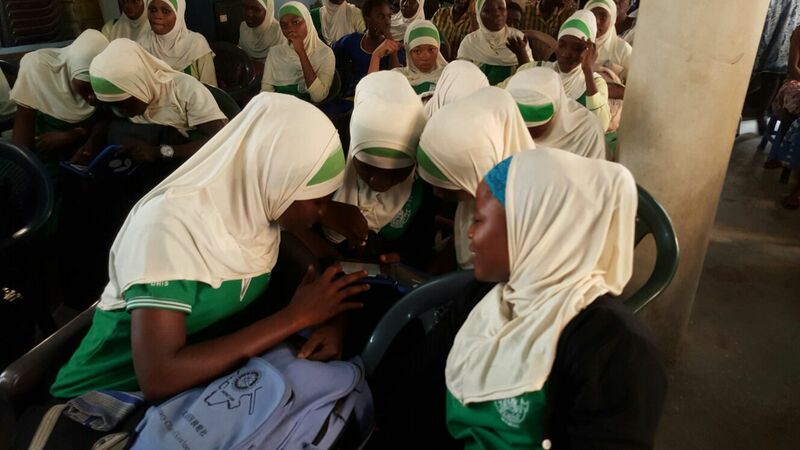 However, with only 25 devices shared between almost 300 girls usage had to be restricted to only a few days a month per girl. Even so, some of the girls managed to read all 120 books several times over the past year. 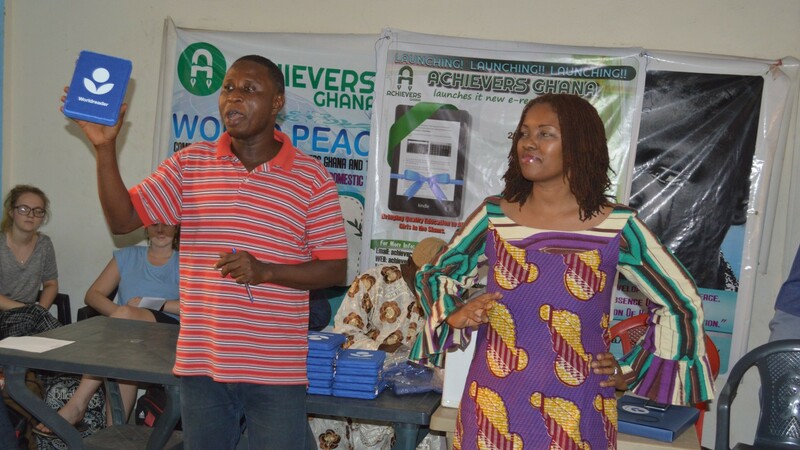 Achievers is therefore extremely grateful that Worldreader, with the support of a generous anonymous donor, has chosen to expand our e-library with another 25 devices taken the total up to 50. The new devices also carry a large number of new books for the girls to read. 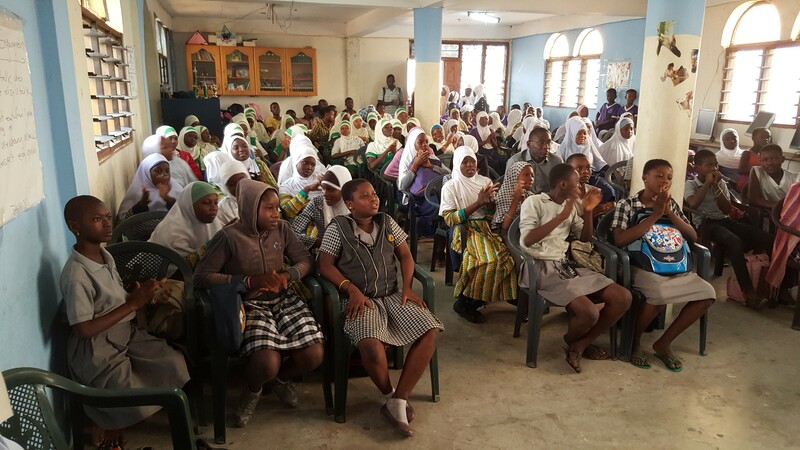 On the 29th of January, the launch took place at Achievers in the presence Worldreader, Project Abroad – Ghana, local assembly members, other supporters and over 120 of the girls. 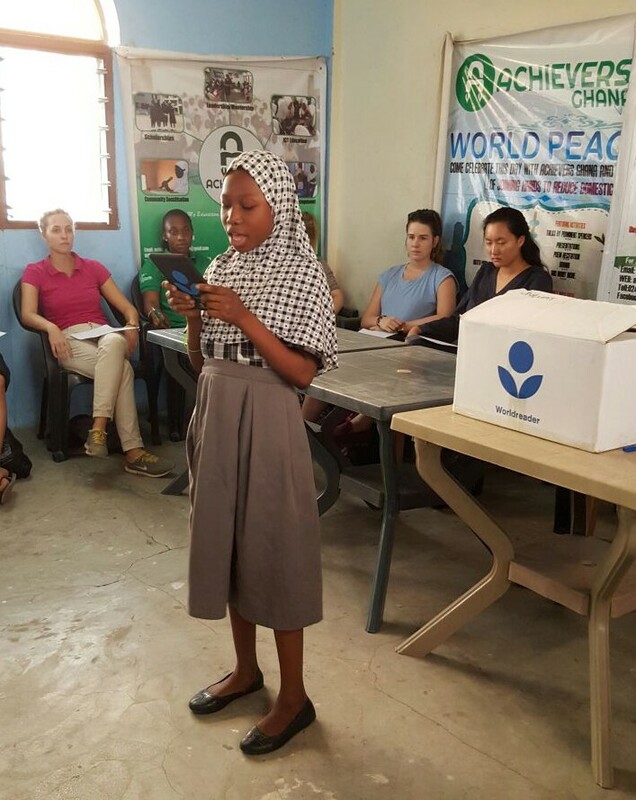 The girls read stories from the devices and performed poetry and a sketch (drama). Achievers is extremely grateful to Worldreader and the donor for this wonderful contribution to improve the lives of our slum girls. If you would like to support this programme or any other of the Achievers programmes, please contact Amadu Mohammed (mail@achieversghana.org). This entry was posted in News and tagged project abroad, Worldreader. Bookmark the permalink.